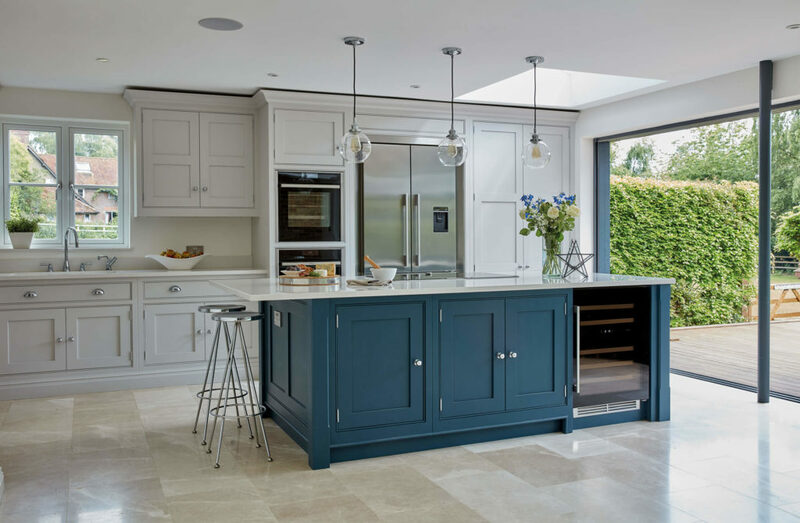 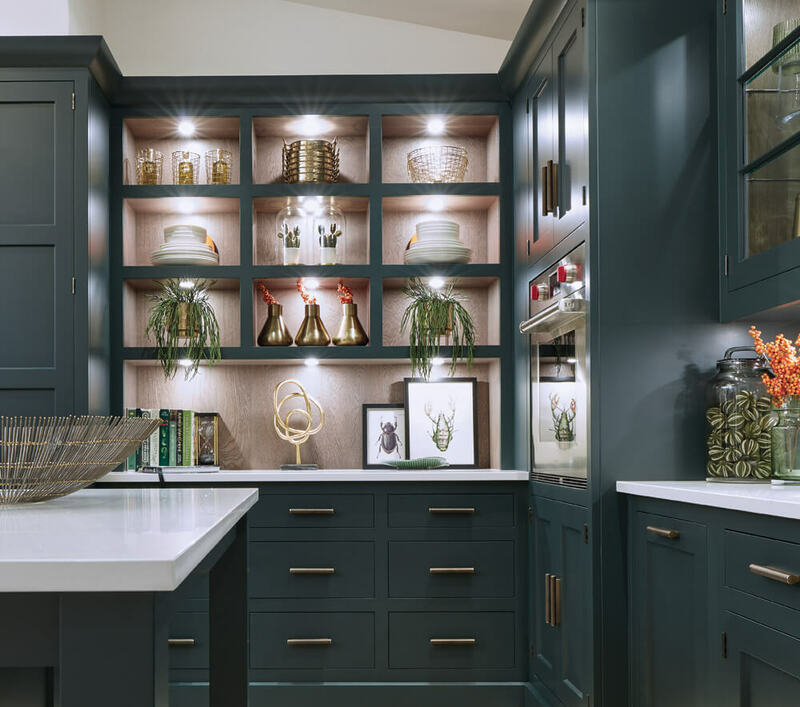 This striking shaker style kitchen in a sophisticated shade of dark green makes a real style statement. 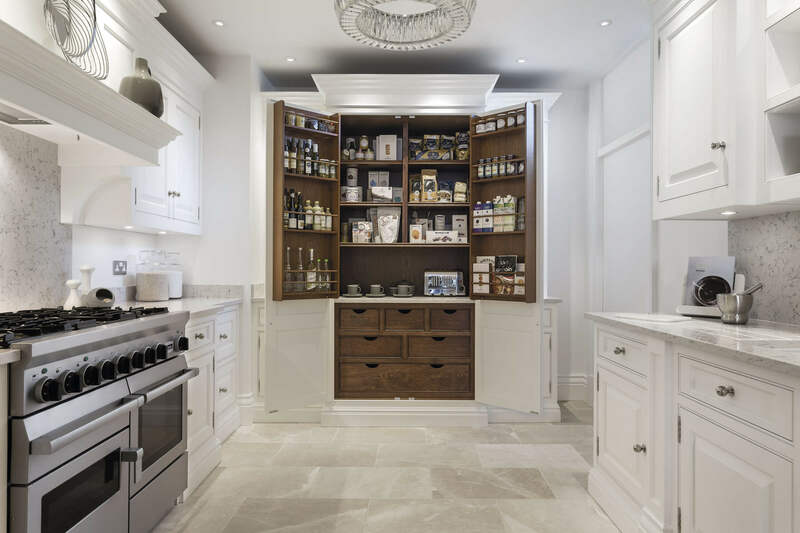 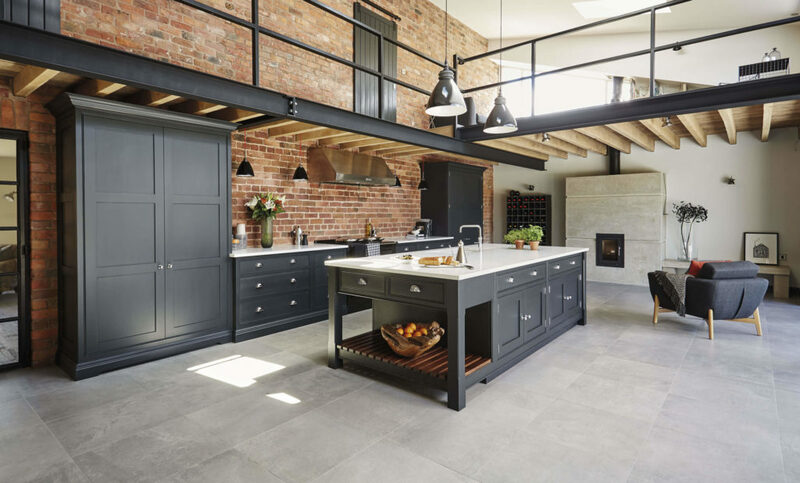 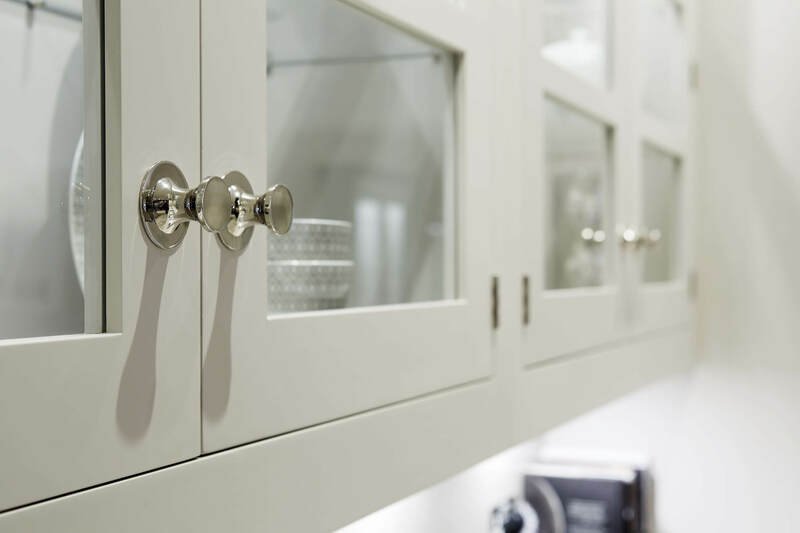 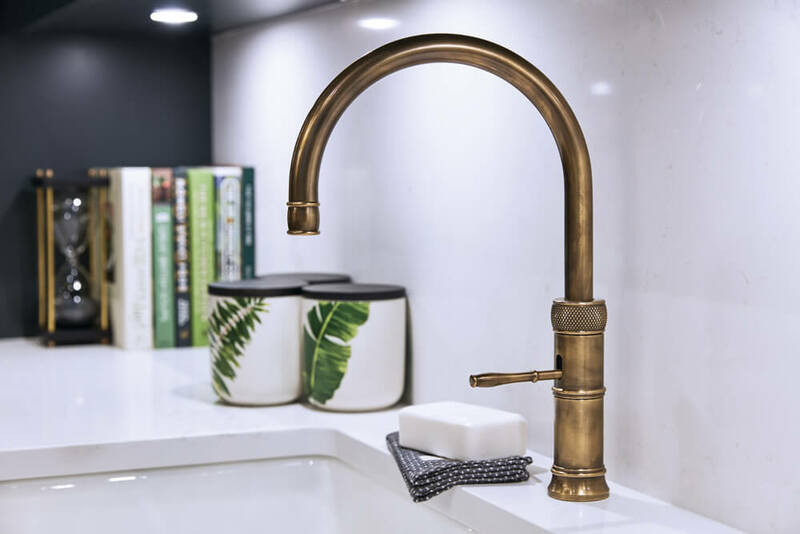 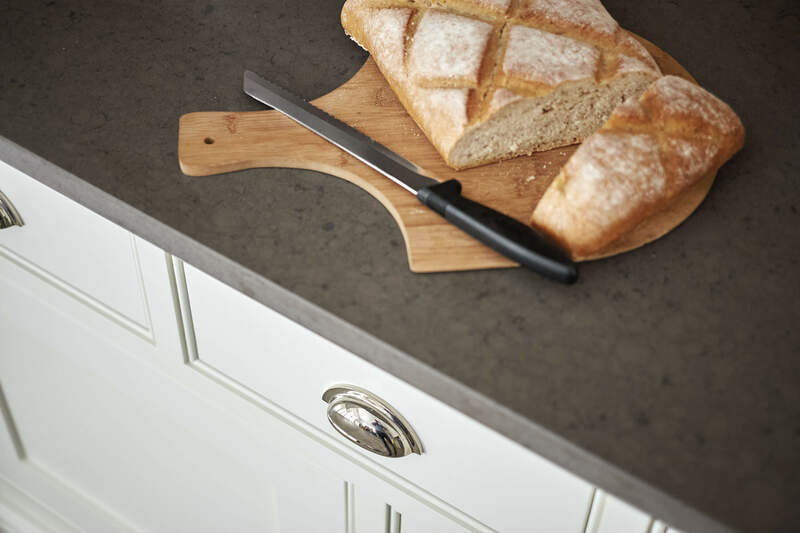 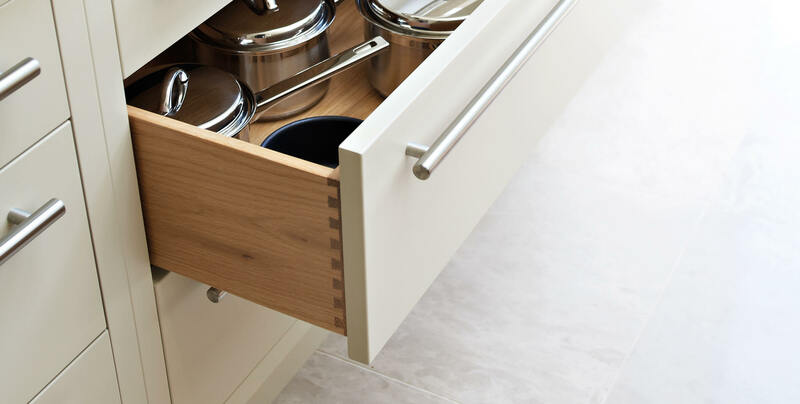 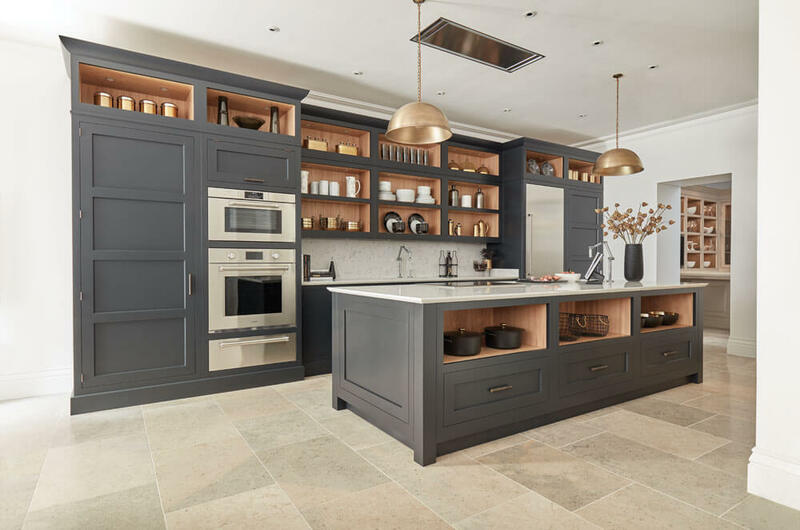 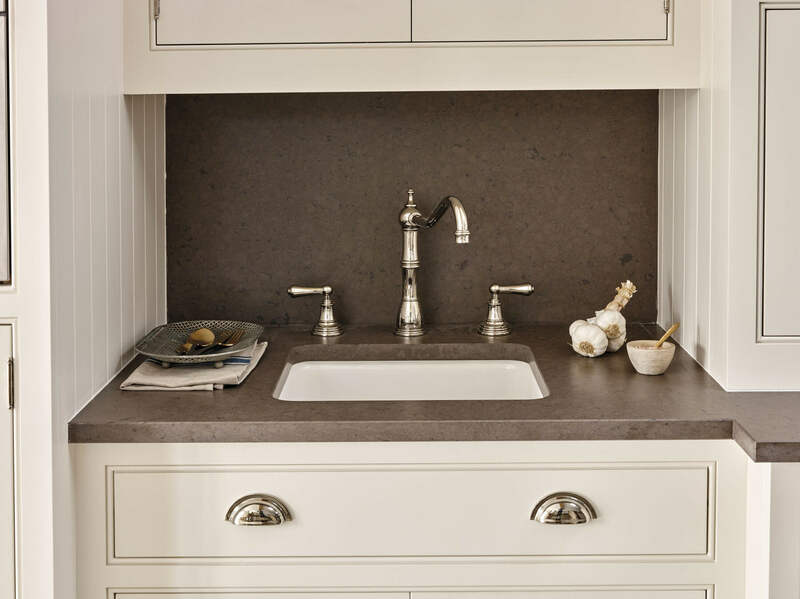 The touchstones of traditional Shaker design; functionality, purpose and honesty are re-interpreted for the 21st century in stunning, handcrafted cabinetry, a showpiece island with seating and high-end appliances. 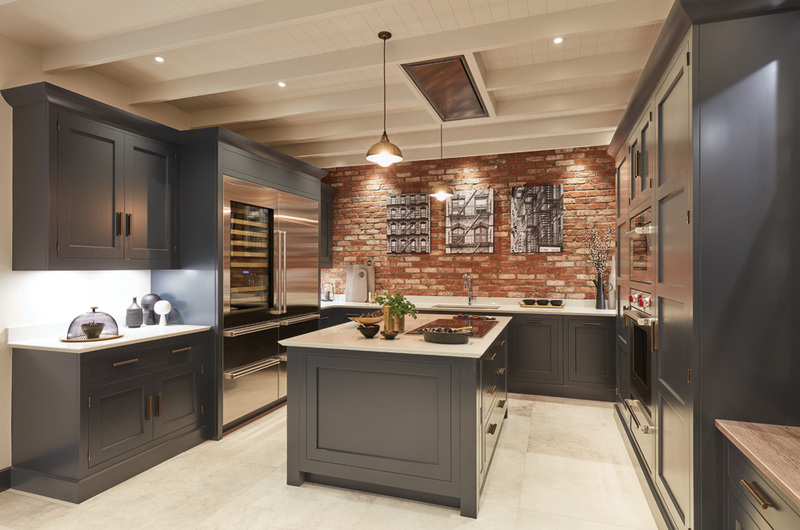 If the kitchen is the heart of the home, the island is the heart of the kitchen. 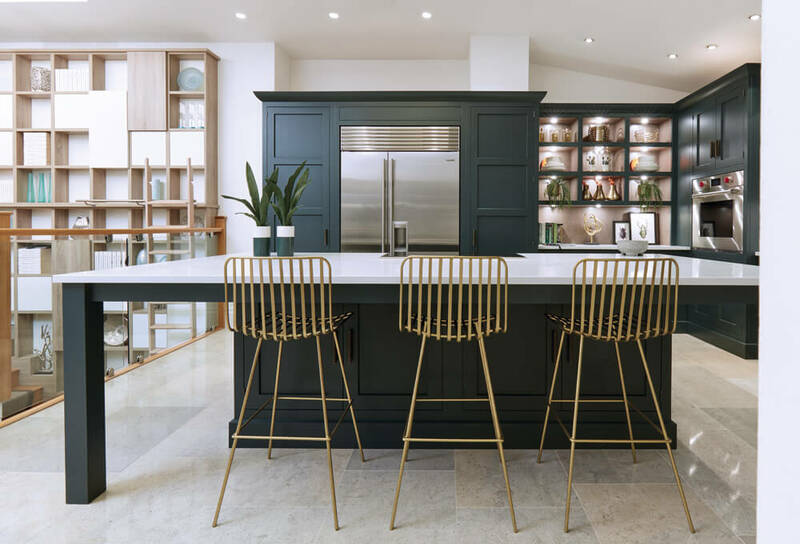 This bespoke island has a hob set into its white quartz worktop which extends into a breakfast bar with plenty of room for seating. 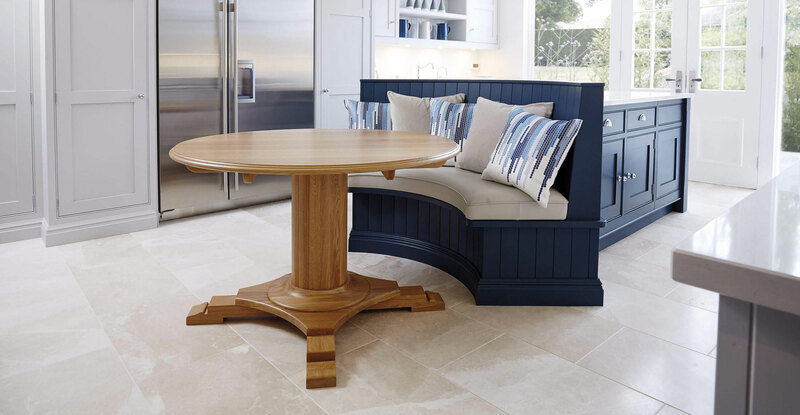 The size and features of the island make it the perfect place for family meals and social gatherings. 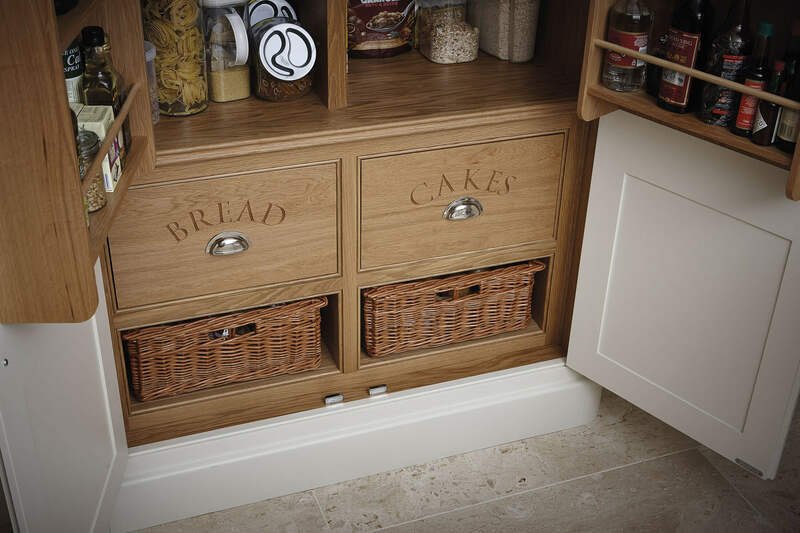 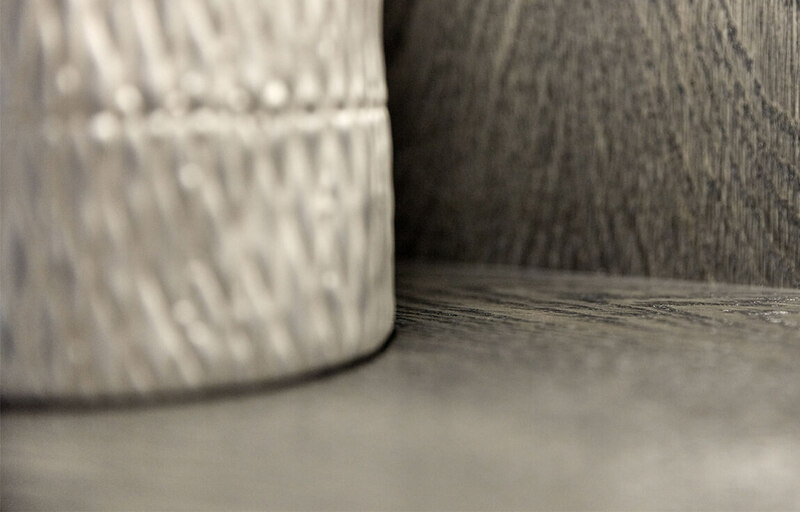 A perfectly practical feature, open shelving is where storage can also be an opportunity to showcase beautiful pieces. 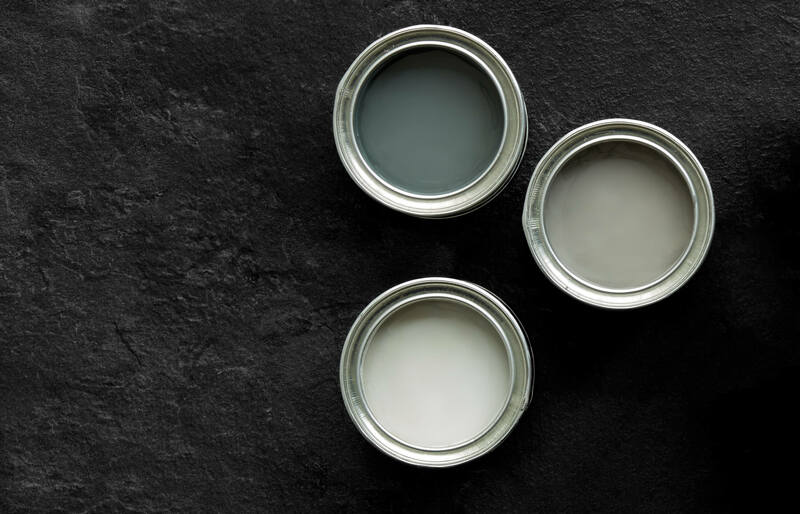 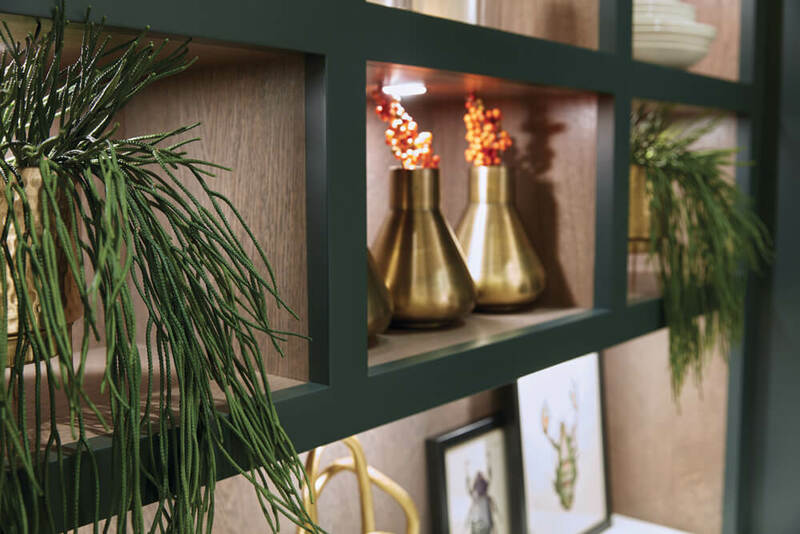 Copperware, earthenware, works of art and floral displays look stunning in open shelving. 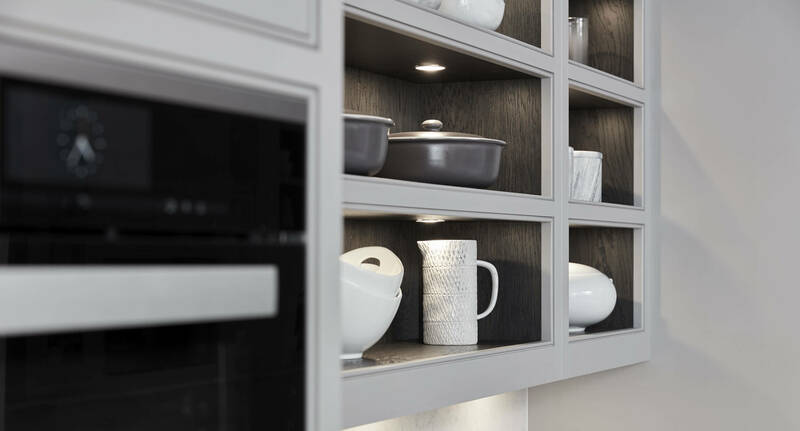 In-built shelf lighting gives the kitchen a lovely glow after dark. 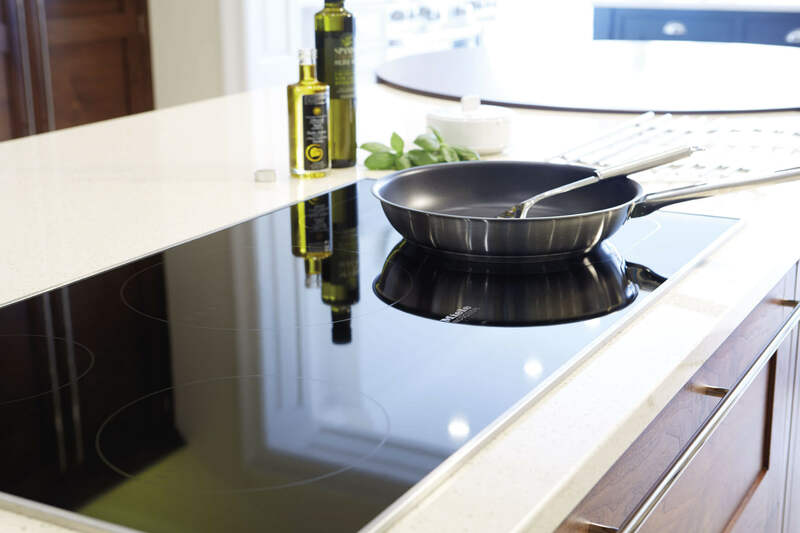 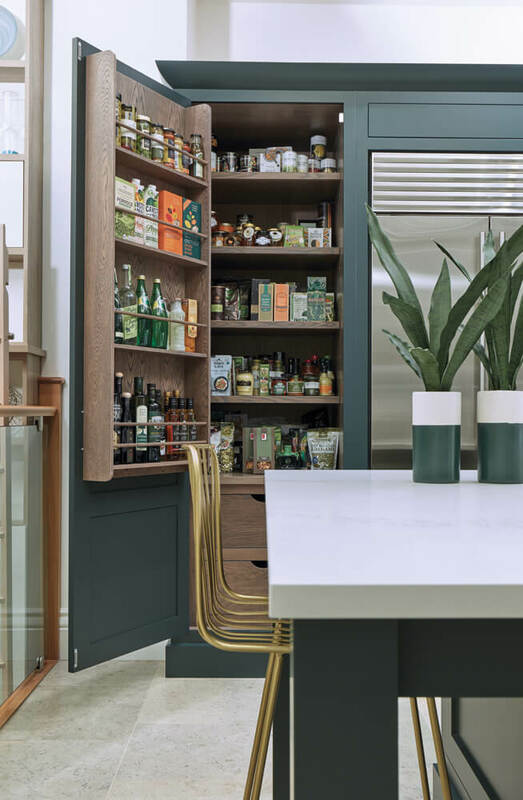 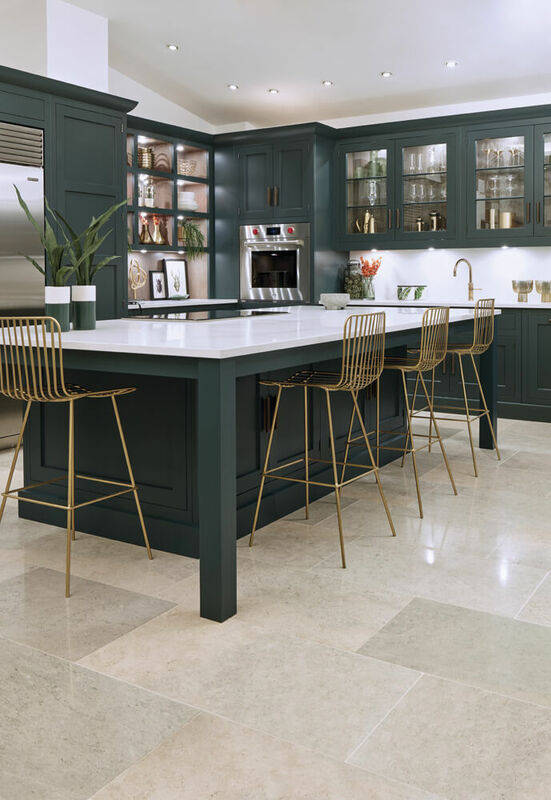 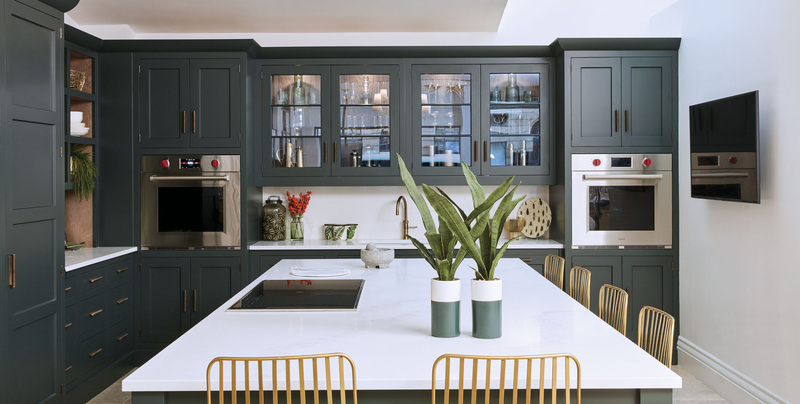 For this design we selected a sumptuous dark green called ‘Avocado’ which looks stunning with the pristine white quartz worktops and breakfast bar. 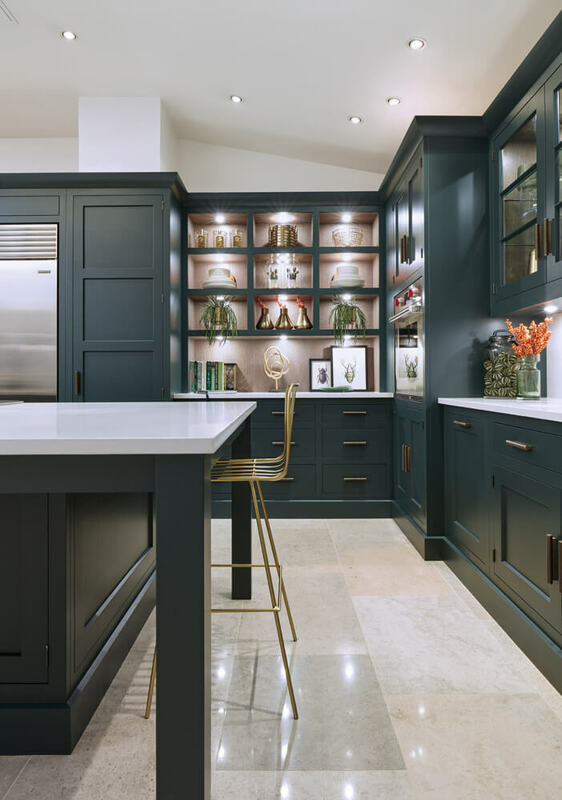 Open shelves offer an opportunity to ‘dress’ the kitchen while providing additional storage and an opportunity to experiment with mood lighting.